Beautiful "rain" pattern embroidered collar, the blue really stands out nicely against tan or black leather. Red Leather dresses up any dog, it is a great look for the holidays! 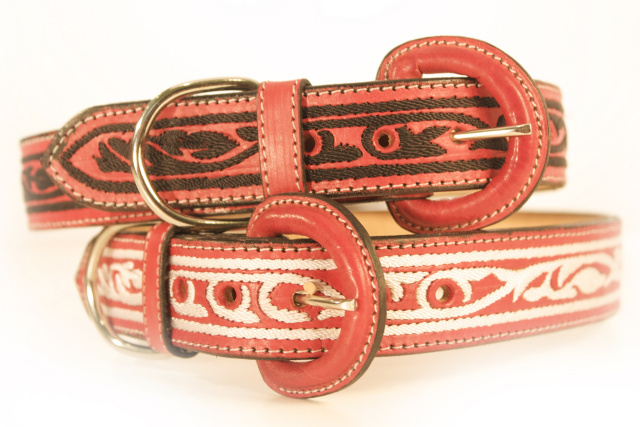 Elegant white embroidered onto red leather, makes any dog feel special!